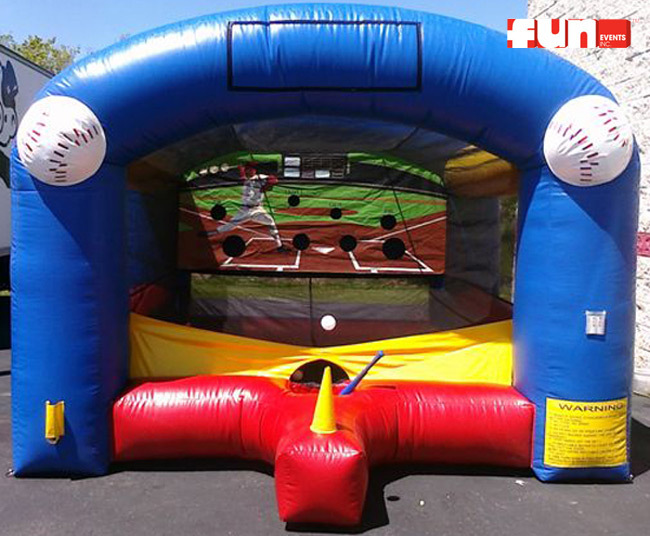 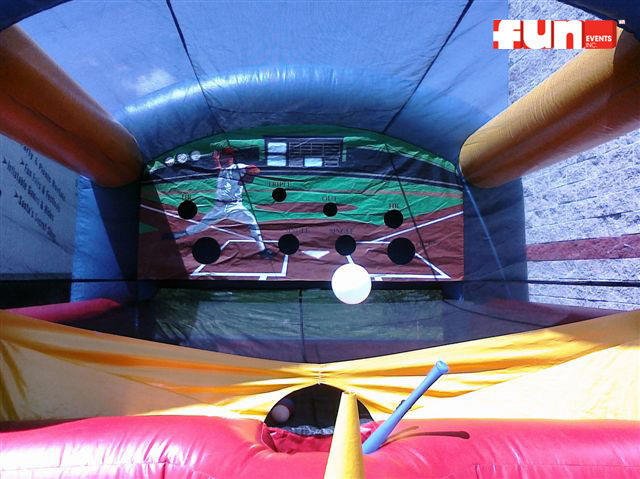 Score a homerun with The Inflatable Baseball Batting Challenge. 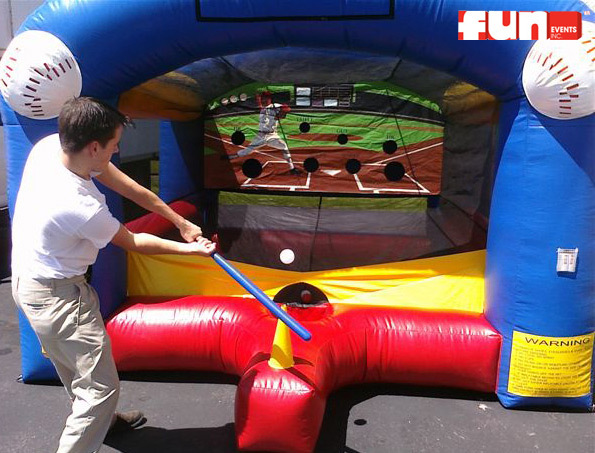 This is a fun interactive game to test participants baseball bat swinging and hand-eye coordination. Your guests attempt to hit a small whiffle ball that is floating in an airstream towards into the backdrop of this cool new baseball game. Great addition to your summer baseball tailgating party, sports party, graduation party, or other fun special event.